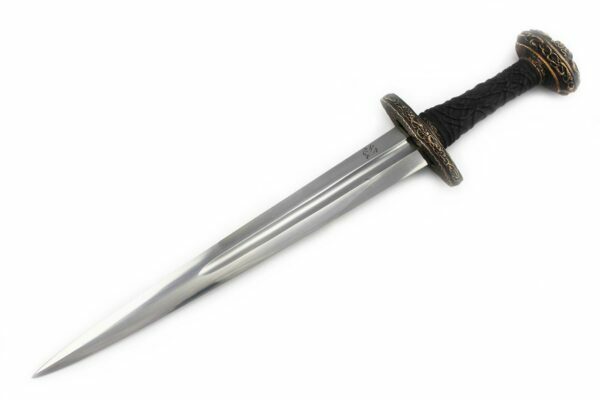 Blade: 5160 High Carbon Steel. 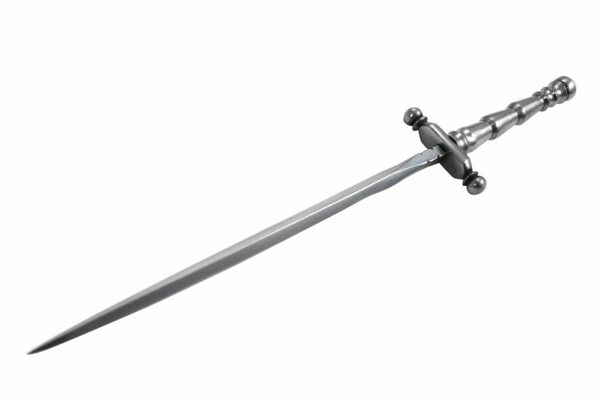 Dual Hardened. Weight: 1 lbs. 5 oz. 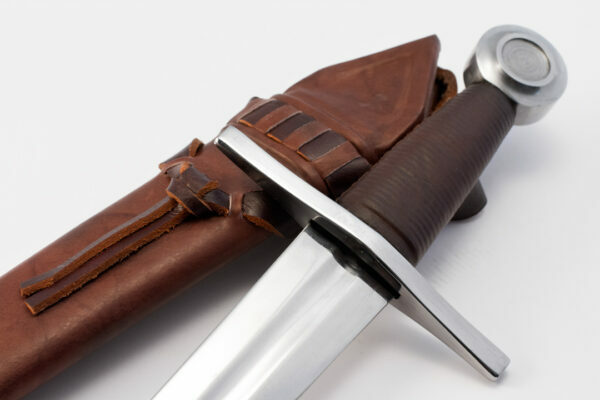 Vikings were known to be proud and courageous warriors with a myriad of weapons at their disposal. 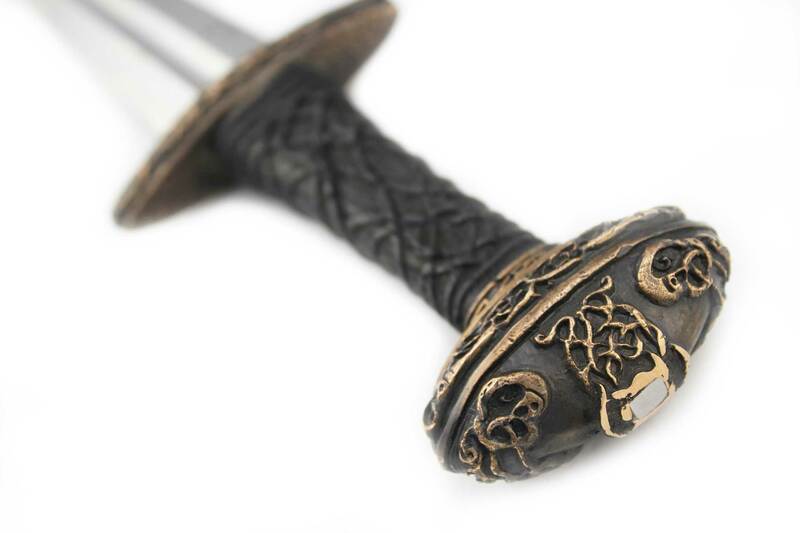 A culture that elevated war to both an art and a form of religious expression, it is no surprise that the weapons they carried would be adorned with intricate and sacred designs. 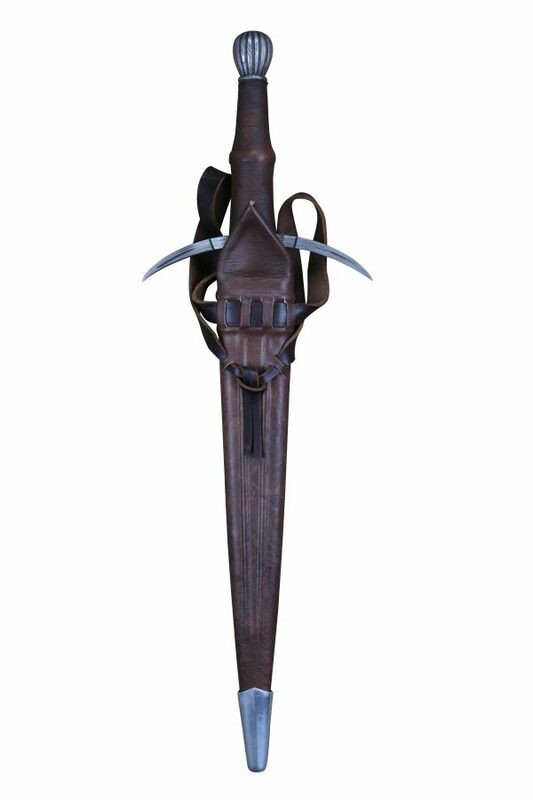 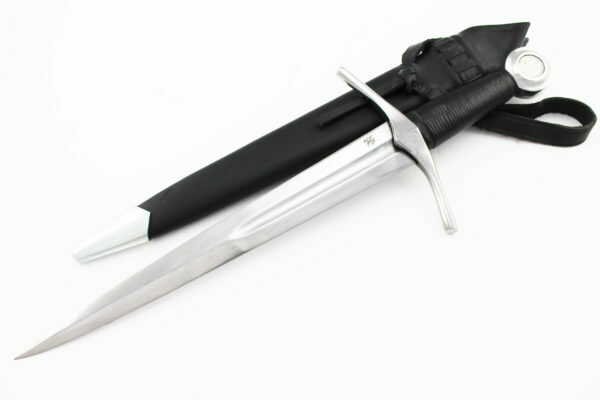 The Darksword Armory Einar is an example of the heights to which this art form could attain, and this – its companion dagger – shows similar artistic reach. 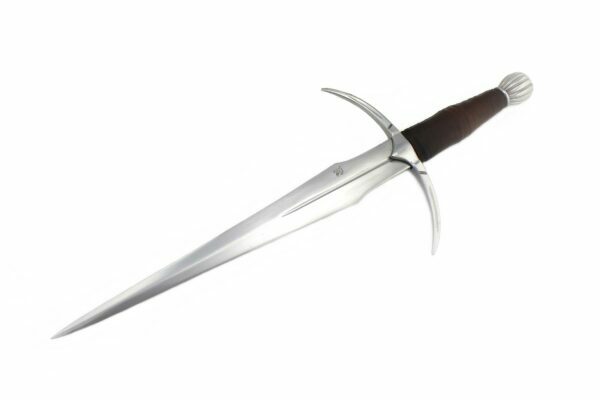 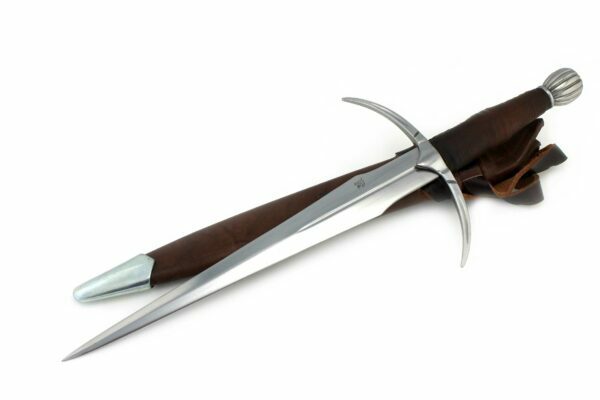 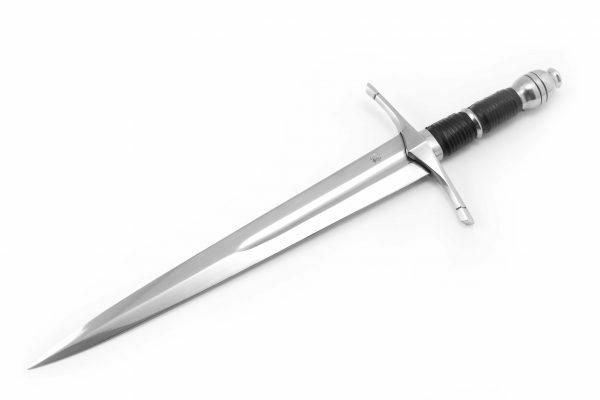 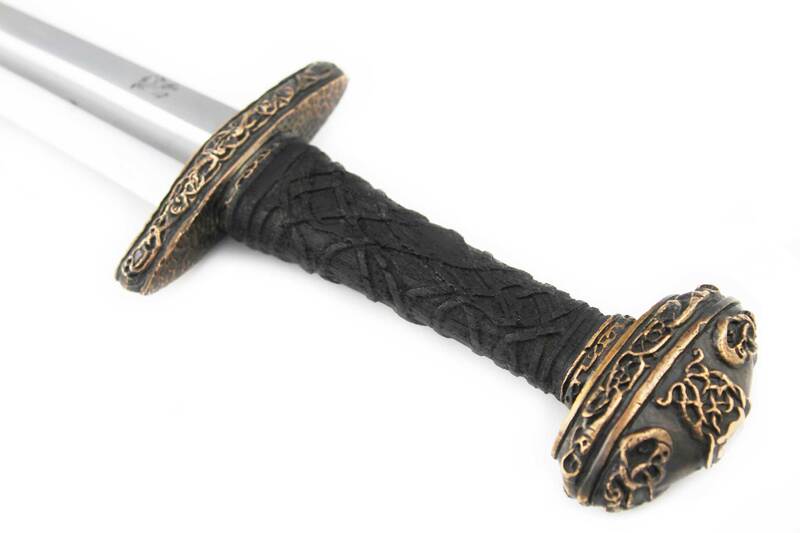 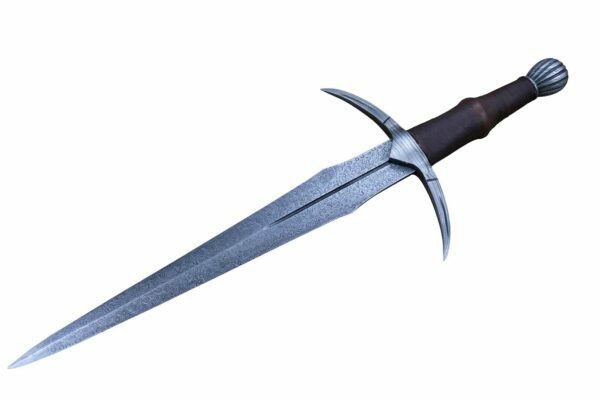 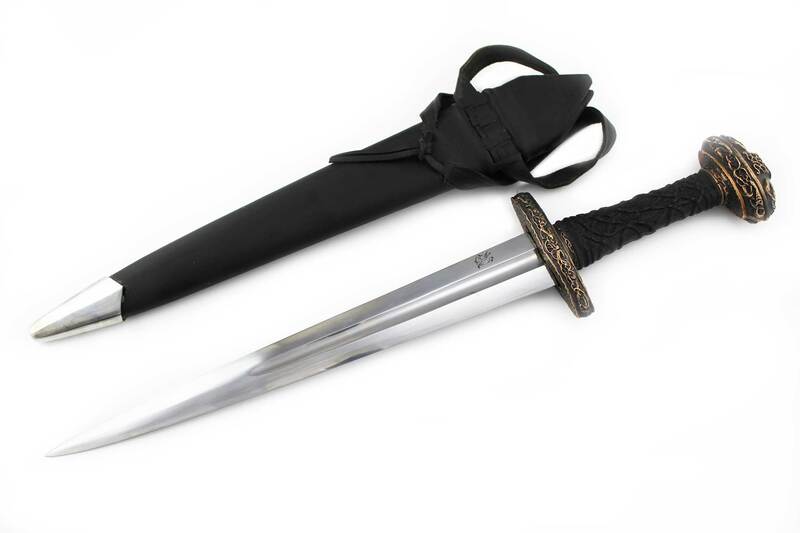 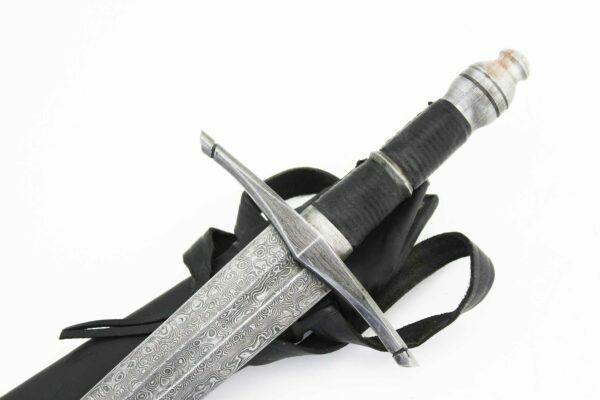 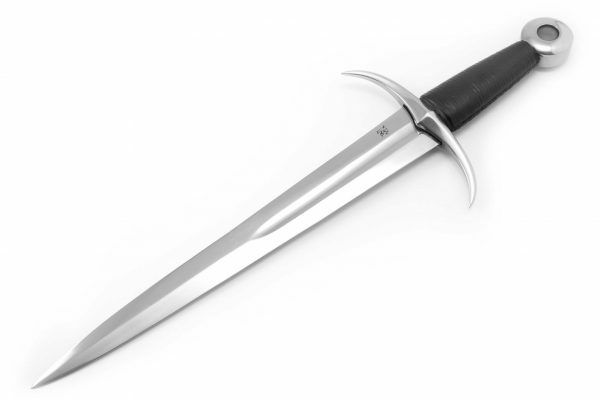 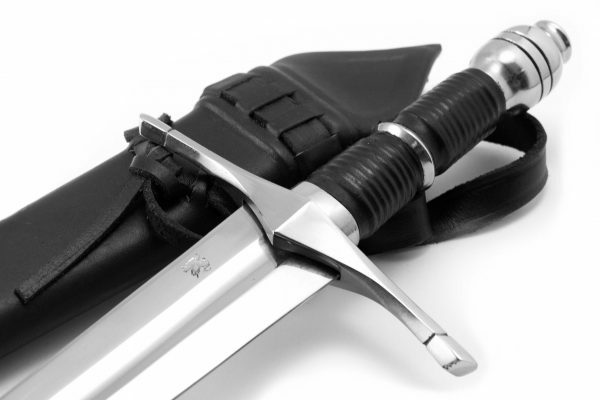 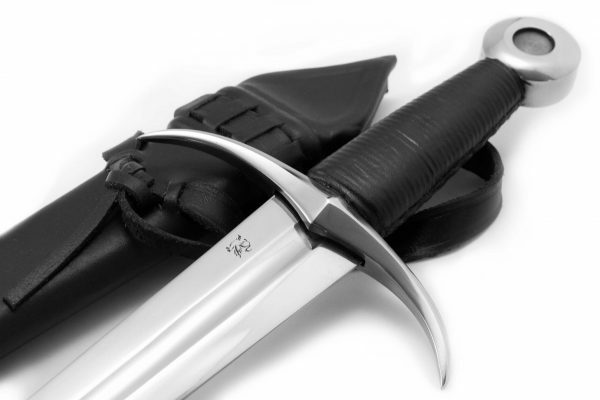 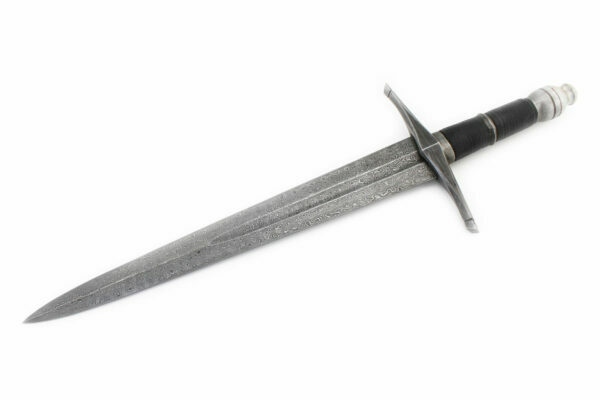 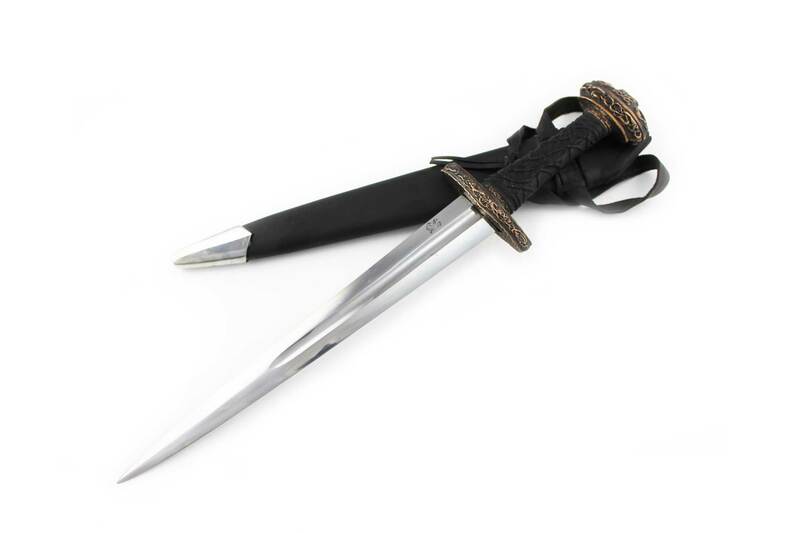 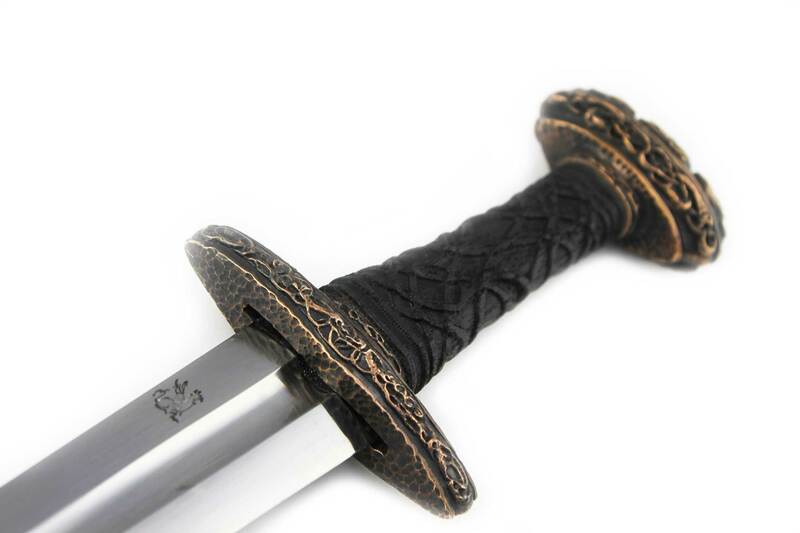 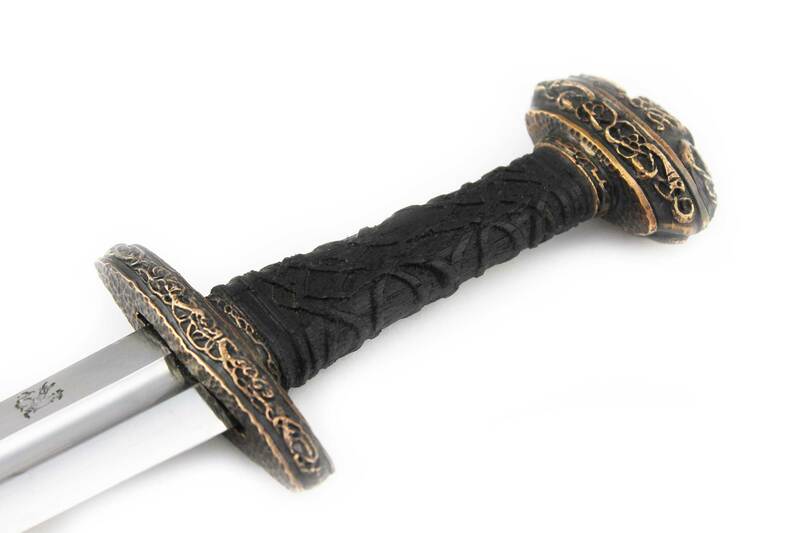 The Einar Dagger has a short 5160 spring steel blade, like all DSA products, fully battle ready – but like all daggers would also be suitable for everyday or camp duties. 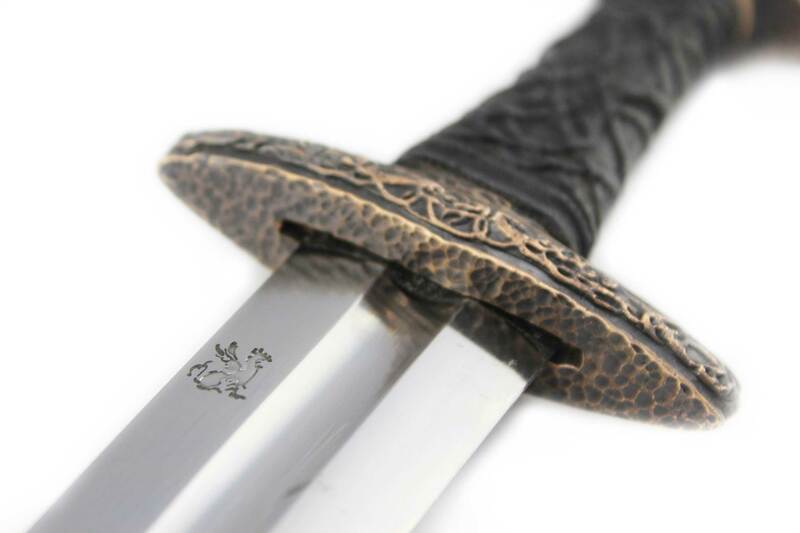 The bronze fittings and carved oak handle are identical to its full sized counterpart, making it an ideal piece to match the Einar sword. 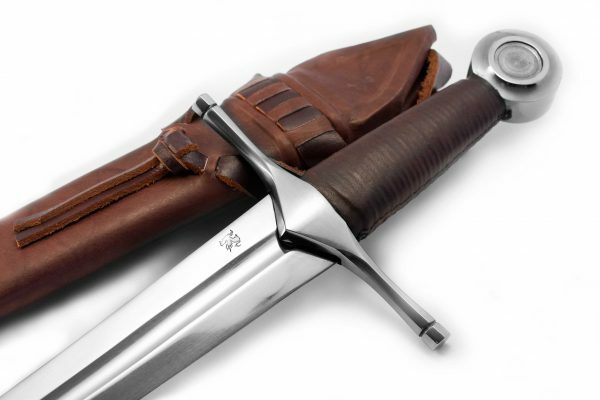 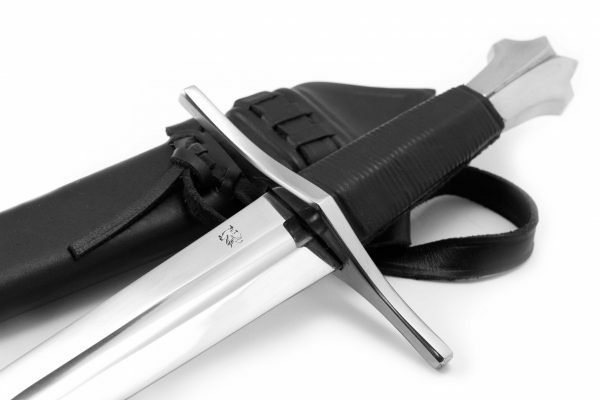 The scabbard has a belt loop, and it will sit comfortably on the integrated sword belt available for the Einar. 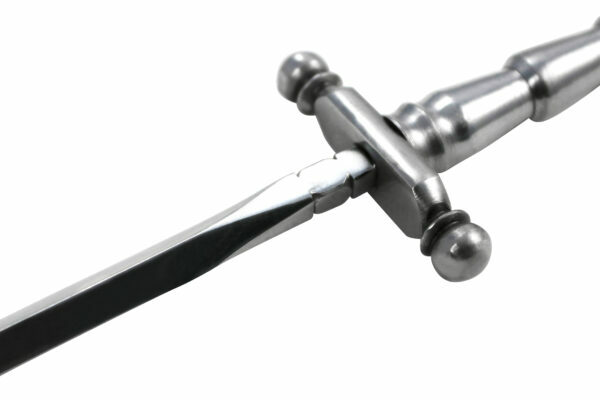 This is one of our best and most popular designs – we hope you like it.